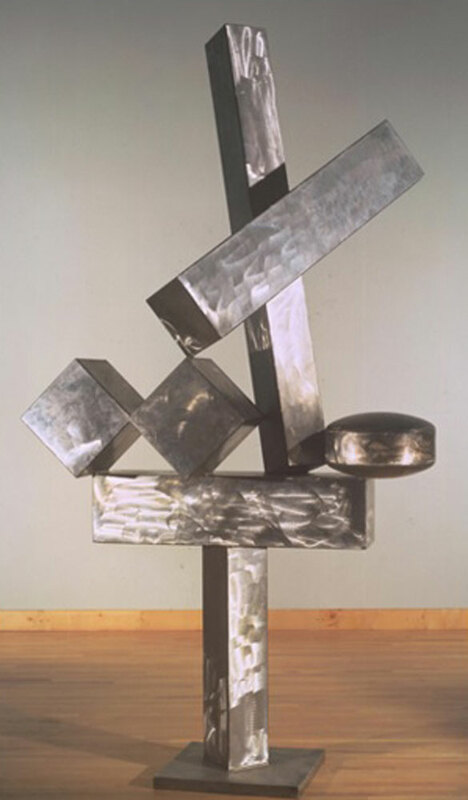 Among the greatest American sculptors of the twentieth century, David Smith was the first to work with welded metal. He wove a rich mythology around this rugged work, often talking of the formative experiences he had in his youth while working in a car body workshop. He learned welding while there which he used in his sculpture. Smith was friends with Robert Motherwell and many other Abstract Expressionist painters. 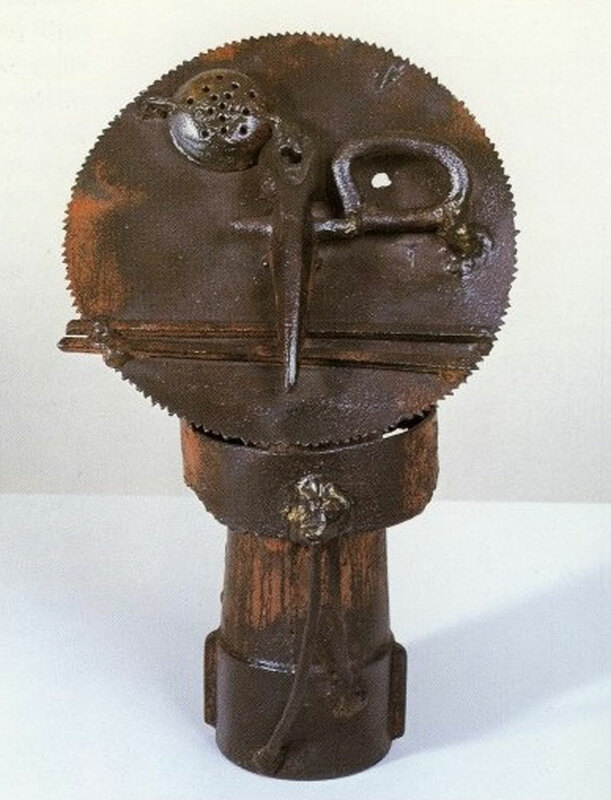 He made his first sculptures by attaching stray objects to his paintings. 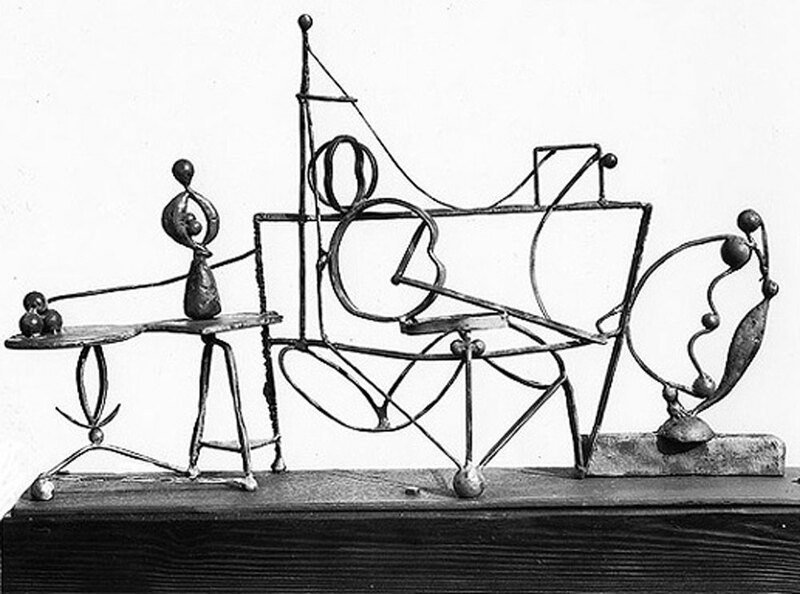 It was after seeing photographs of Picasso’s metal constructions that he turned wholeheartedly to sculpture. One of Smith’s most important formal innovations was to abandon the idea of a “core” in sculpture. 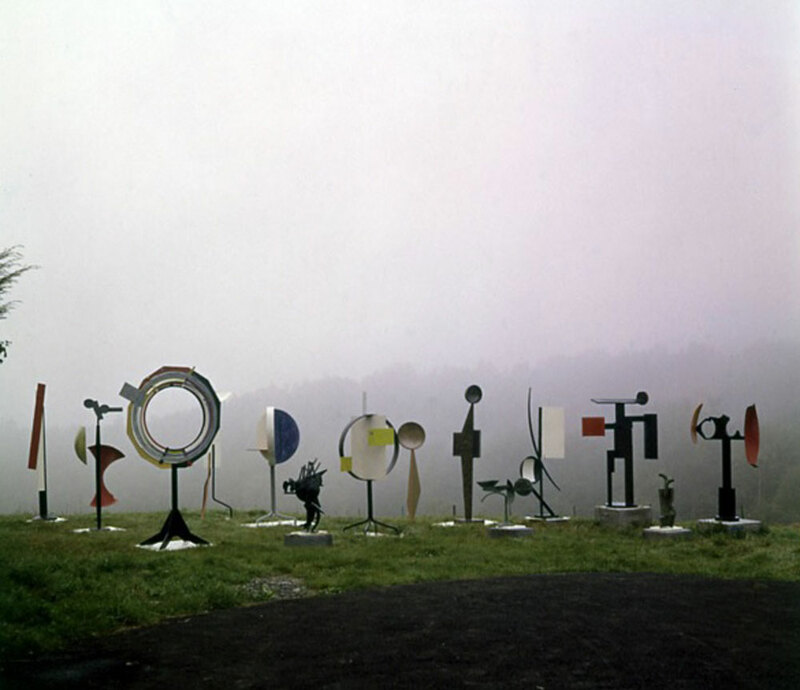 He became better known in the ’50s and in 1958 the Museum of Modern Art gave him a one-man exhibition. ”I do not often follow its path from a previously conceived drawing. If I have a strong feeling about its start, I do not need to know its end; the battle for solution is the most important. If the end of the work seems too complete and final, posing no question, I am apt to work back from the end, that in its finality it poses a question and not a solution. Smith died in a car crash at age 59.